Staff members and supporters of the William Joiner Institute at the Dorchester Vietnam War Memorial. Photograph from The Bay State Banner by RT Tutko. Named for a Vietnam veteran who died young due to mustard gas exposure, The William Joiner Institute for the Study of War and Social Consequences collects and collates war stories and artwork at UMass Boston. The Institute started as a center where veterans could gather on campus, and in the late 80s folks there began financing trips for military veterans to go back and visit Vietnam. Kevin Bowen, the former director of the Institute, said those trips triggered his writing. After visiting Vietnam, he published his first book of poems, Playing Basketball with the Viet Cong (1994). 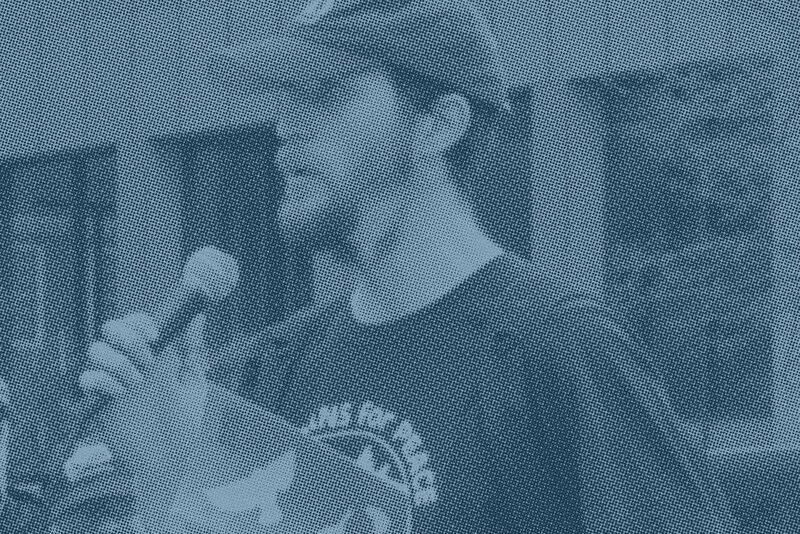 This spring, Bowen began organizing protests, and calls to state senators, effectively stopping cuts scheduled for July. His (and others') heroic efforts over the past few months influenced the Massachusetts legislature to continue funding the Institutes at UMass for another year. But the struggle for vibrancy and academic relevance among the independent Institutes on campus will not end. The writing programs, art shows and publications produced by The Joiner Institute rely heavily on state funding. With the only clear way forward being grants and government support, the Institute needs a new funding model to thrive. This is not an easy prospect because competition for funds and gaining attention in media right now is fierce. The Joiner Institute has secured spaces for Warrior Writers to meet at UMass Boston many times. We were always a small group, generally about five people. New folks would come through from time to time, and share a few words. Year after year I attended sessions during the summer workshops organized by The Joiner Institute, dabbling here and there, mostly hanging out with the Warrior Writers at the Old Oak Dojo in Jamaica Plain. I never paid to attend workshops at the Joiner Institute, and since I lived off a credit card and some student employment income at the time, I realistically wouldn’t have paid to attend. But the workshops were always open to me, and they inspired a lot of writing. Public education programs attempt to address a perennial problem: many people cannot afford or do not have resources to pay for education upfront. We take out loans. We strive for scholarships. We join the military for G.I. Bill benefits. And at the college level especially, studying the humanities and art is often perceived as a luxury. It sometimes seems more profitable to drop out and hang Sheetrock, or start a concrete-mixing business. You can feel like a sucker paying for someone to critique your sense of language and aesthetic. The effort to monetize exchanges in knowledge can feel a little absurd, and it’s certainly more nebulous than marketing bullets or cheese or new concrete foundations. A few years ago, I attended a media symposium in Times Square with a student media group. There, an editor from The National Enquirer told us it’s up to us to figure out how to make money out of media now. The old advertising model is broken. We have to build a brand, he said. Sell, sell, sell. Info in the digital world, music, pixels and data appear free. This is essentially the problem that the Joiner Institute faces: how to sell intangibles (art, shows, lectures, video, texts, images). It’s a marketing problem, selling time and experiences--and it’s no new problem. How do artists and intellectuals attract interest, and demonstrate value? I see three ways to raise funds out of art and literature: be patronized by the rich and gain corporate and/or political sponsorship; seduce an audience into buying branded/printed objects; start a religion. The Enquirer uses a bait and switch version of patronage, "kompromat," trading in blackmail, DOXing, silencing or selling stories to boost or damn brands. Traditionally, trolls exploit the bridges that connect us. So socializing education and media is a well trod path to avoid some vapid pitfalls, but it can also limit incentives to advertise and grow. UMass officials emphasize a patronage model. They want the leaders of centers to spend time courting the good will of the wealthy. They suggest that Institutes should seek out grants, and/or convince lawmakers to champion public education. In a letter dated February 21, 2018, Provost Emily McDermott writes, “The data does not support that the Joiner Institute has a business model that is self sustaining at this time,” suggesting that the Institute develop its own funding sources to survive past 2022. “Expand the grant and contract portfolio. . . Increase development and endowment support.” People in power seem skeptical of taxation for education. In response, Friends of the Joiner Institute spoke out. Marc Levy wrote a compelling defense of the Institute for Counterpunch, and Kevin Bowen organized campaigns to influence politicians. 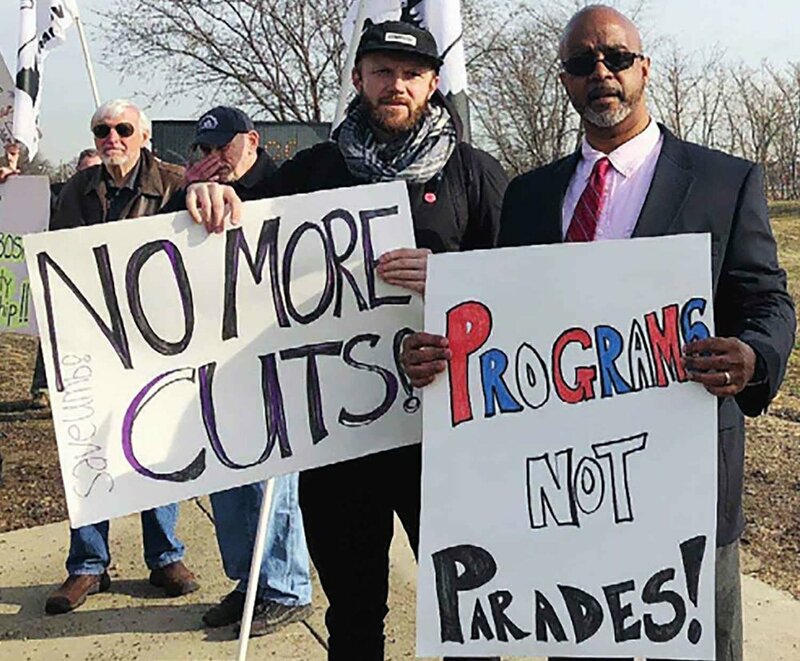 Given the campus wide effort to find new revenue and to cut its least visible programs (Veterans Upward Bound already fallen by the wayside), it will take more focused efforts in planning, organizing and fundraising to keep the Joiner Institute buoyant into the next decade. So the Joiner Institute finds itself in the midst of a funding melee. It’s similar to the sort of mid-career crisis that any worker leaving a government bureaucracy faces: How do we transition unique skill sets (like the ability to pick out and shoot a person at long range) into material goods? What is wealth? What are we striving to accomplish? Do people deserve food, shelter and healthcare for existing? Should I seek out a disability check? These questions of pride and usefulness are not unique to military Veterans. This problem of Veteran integration into the American economy seems to be a symptom of a much larger distribution disorder in America. We want to reward merit, but often privilege security over humanity. We like killing predators, but have a hard time rewarding decent people who do nothing. What is worth preserving? Who decides? The summer 2018 Joiner Institute writing workshop series is June 25 to 29. I plan to attend. I’m taking the week off work. Warrior Writers is finding housing in Boston for those who need it. You can link up with them on Facebook. The Boston chapter has scheduled a reading at The Longfellow House in Cambridge on June 27th. We’ll be releasing a new chapbook of art, stories and poems created during workshops. We’re calling it Complacency Kills. Levy, Marc. "William Joiner Institute Under Siege." CounterPunch, March 6, 2018: https://www.counterpunch.org/2018/03/06/william-joiner-institute-under-siege/. Caleb Nelson is a veteran of the U.S. Navy. He lives in Boston and helps organize the Warrior Writers workshop there. He is editor of Complacency Kills, a publication of veteran writing and news from the veteran art movement. He also runs Snowflake Media.